An interesting account of one man's time in one of the most notorious prisons in the Western world. 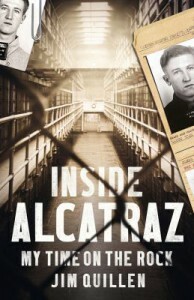 Jim Quillen's recounting of the events of the infamous escape attempt of 1946 is particularly important as it attempts to redress the balance somewhat, with an inmate's view of the events that happened, which, of course, differ very much from the accepted view peddled by the authorities. Yes, of course, Jim is always going to see the affair through the eyes of an inmate - it would be very difficult not to - but it does supply a certain amount of balance to the overall story of those events and allows the prisoners held in Alcatraz a certain voice that hadn't been readily available before. Ultimately this is an easy-going read - not too demanding, the writing style is simple and uncomplicated. Personally I would have liked to have read a little bit more about his post criminal life, and the ending seems a bit rushed as a result. But Jim's rehabilitation does reveal a humanity rarely seen in books of this kind, and I have to admit a certain amount of joy at reading about the way he turned his life around. The book also acts as a prime example of how criminal rehabilitation is a goal any civilised society should aspire to, rather than the senseless idea of punishment for it's own sake as revenge and nothing else. The privatisation of the railways ranks amongst the greatest acts of political vandalism that the United Kingdom has ever known. Christian Wolmar's book identifies and highlights the events and decisions that made the move from a nationalised and publicly accountable, though admittedly flawed railway to the unwieldy privatised mess that we have today, with a great deal of clarity and focus. 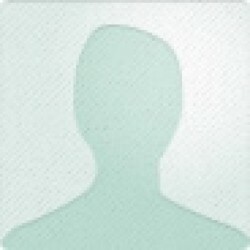 By framing the failures of John Major's government's crazed, flawed and nonsensical attempt at taking the public sector - and ostensibly, the tax payer - out of the running of what is fundamentally a rigid, complexly integrated system, against the terrible accidents of the late 1990s and early 2000s (namely Southall, Ladbroke Grove and Hatfield in particular), Wolmar argues that the privatisation of the railways has actually delivered very few of the benefits promised by successive governments, and resulted in a fragmented railway that is neither safer, more reliable or cheaper in real terms than British Rail before it. Wolmar puts across his points in a detailed and clear way that is easy to understand, and quite entertaining at times, from a non-technical layman point-of-view, which makes the rather depressing narrative of the failure of privatisation all the more understandably scandalous. 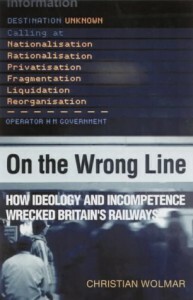 While it would be remiss to say that all the problems of the British rail network was down to privatisation, Wolmar's arguments are such to suggest that many of the problems are down to the unnecessary fragmentation that came with the privatisation exercise, and from the cost-cutting that invariable comes from companies running a service for profit. This book is a great manual for those who are passionate about the re-nationalisation - or re-organisation - of the railways, and a must-read for anybody interested in either the railways as they are today, and those merely interested in the ludicrousness of the decision making of the powerful. 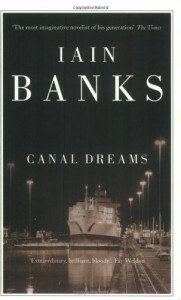 So, what to say about Canal Dreams? Well, this was always going to be the most problematic of Banks' work, especially since he himself saw this as perhaps his weakest work. And in many ways I can see why. It rather feels like 2 novels put together - the first half reads like a diary; a travelog and a mildly politicised commentary on the world in 1989 (when the book was published). The second half reads like an action movie, with added flashbacks, strange dreams and a (un)healthy dose of nihilism thrown in for good measure. The style and content whiplash is quite unnerving, though I suspect this was entirely deliberate on the part of Banks. What starts as a relatively gentle inconsequential little story suddenly turns unerringly violent, deadly serious and curiously apocalyptic - with world-renowned cellist Hisako thrust into the role of unlikely vigilante by events that unfurl around her. That the book is in any way successful is down to the impeccable writing style of Banks, and is the thing that keeps you reading, despite the flaws with the plot, character development (apart from Hisako) and, at times, sheer unpleasantness of events towards the end of the book. It reminded me in a way of A Song of Stone, another one of his more problematic novels - another of his that's beautifully written but also quite unnerving and uncomfortable to read at times, as if the author is daring us to not close the book and put it back on the shelf. The main difference between the two novels for me is Hisako, who, after a while, becomes more and more sympathetic as the book develops and the more we find out about her. Towards the end there were bits about her past that frankly almost moved me to tears, especially when juxtaposed with her utterly hopeless experiences in the 'here-and-now'. I left the book wanting to know what became of her in the end, and hoping against hope that she somehow would turn out alright. All in all, a lesser Banks, but well-worth reading nonetheless - especially for fans of his other works. It's nowhere near his best - for me that will always remain either The Crow Road or Whit - but it has its merits, if you can stomach the violence. However, newcomers should not approach either this or A Song of Stone as a first Banks book as it's liable to put you off an absolutely wonderful writer for life. Shingo Osada is growing old, coming up to his retirement and experiencing more than one instance of temporary memory loss. He is becoming wistful and reflective in his old age, beginning to have odd dreams that wake him and hearing odd sounds that he takes to be omens of his own impending death. This provides a backdrop to two crises in the family - the failure of daughter Fusako's marriage and her return to the family home with her two daughters, and son Shuichi's affair which threatens to destroy his marriage to the beautiful Kikuko. 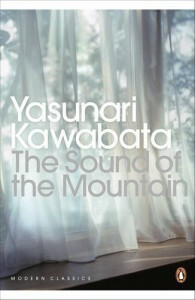 For me Yasunari Kawabata's The Sound of the Mountain is not only a masterpiece of Japanese literature, but a masterpiece of 20th Century world literature. His elegant and precise prose, more akin to poetry and much like haiku at times, is a pleasure to read, and Seidensticker's translation by all accounts does it justice. This is not a novel where a lot happens, where we read a lot of action or see much in the way of exciting plot twists, but it is a thoughtful and poignant meditation on what it means to grow old, and what it means to still have regrets. Shingo regrets not being able to marry wife Yasuko's sister due to her suicide, while also regretting not being a better husband to Yasuko herself. At the same time, he regrets not being a better father to daughter Fusako, whose marriage is breaking down; and son Shuichi who is having an affair. His regret on not being a better father manifests itself in his treatment of daughter-in-law Kikuko, who he treats as if she were his own daughter, sub-consciously over-compensating for his perceived neglect towards his own children - something that both Fusako and wife Yasuko both remark upon with varying degrees of distaste. On another level the book also acts as a representation of a Japan that was rapidly changing beyond all recognition and emerging from years of American occupation after the Second World War. Some of Shingo's frustrations come from the contrast in attitudes between his own generation and that of his children. Shuichi's own attitude towards his wife, and his womanising are in some ways blamed on his experiences of fighting in the war, as much as they are because of Shingo's own perceived failures as a father. But are his failures as large as he himself imagines? Shingo is a seriously flawed but ultimately normal man who possesses the same flaws and traits of the vast majority of people. A man whose position as patriarch is threatened not only by his age, but by the changing of attitudes in his own country. And ultimately a man who feels his own position in life itself slipping away from him - however slowly this may be. Kawabata paints his picture of what it means to grow old with an understatement and beauty that quietly demands to be read. This is as much why his work is still widely read today - it has a timeless relevance that still remains, even fifty years after his death.